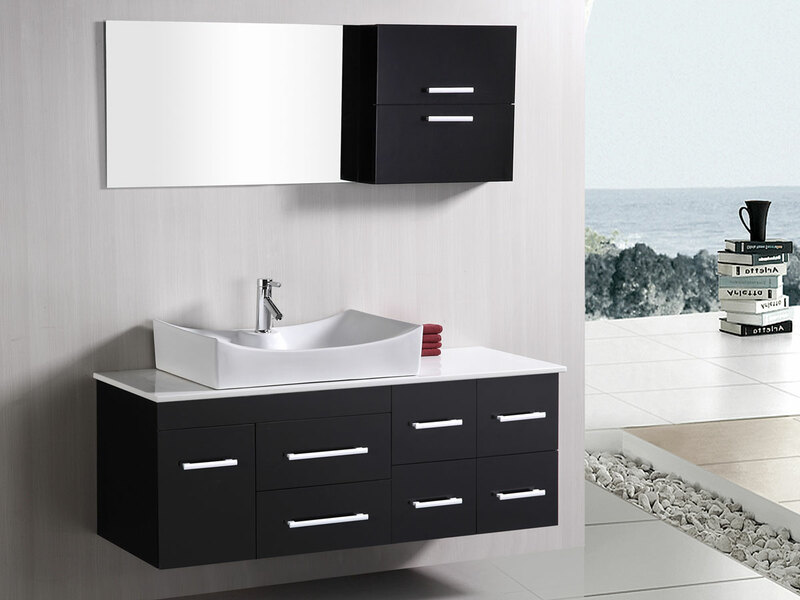 With a clean-cut style and highly functional design, the 55" Springfield Single Vanity brings practicality and style together to give you the new centerpiece to your bathroom. 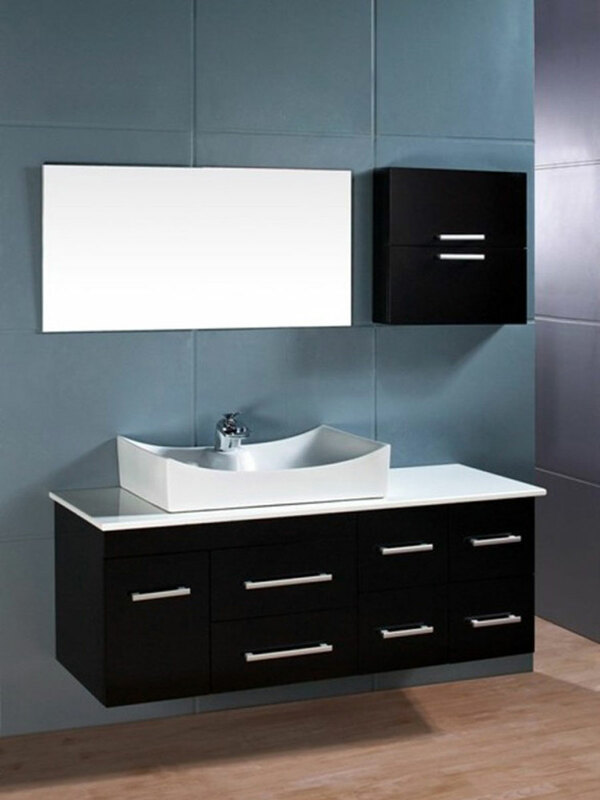 Featuring a solid hardwood cabinet with an Espresso finish, this vanity has a wall-mounted design to minimize the floor space it will need. 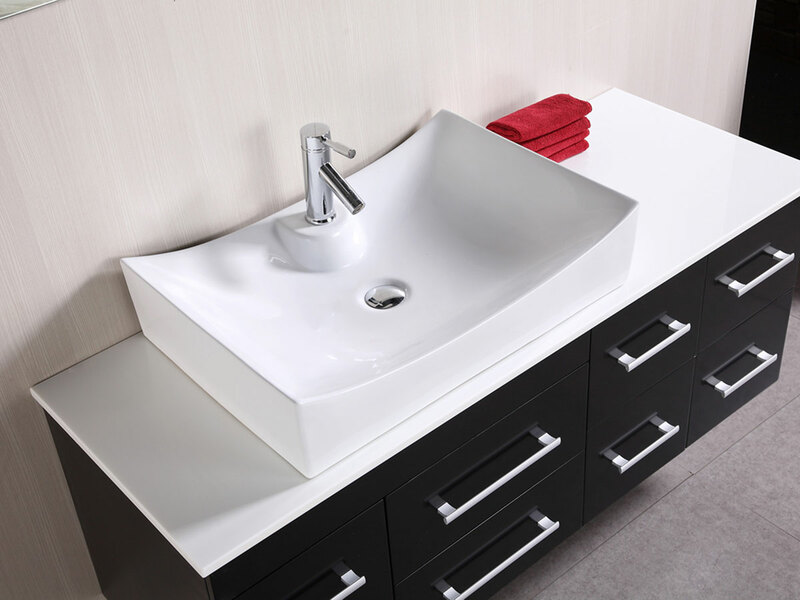 Its top is composed of Composite Stone and is matched with a designer vessel sink made from porcelain. 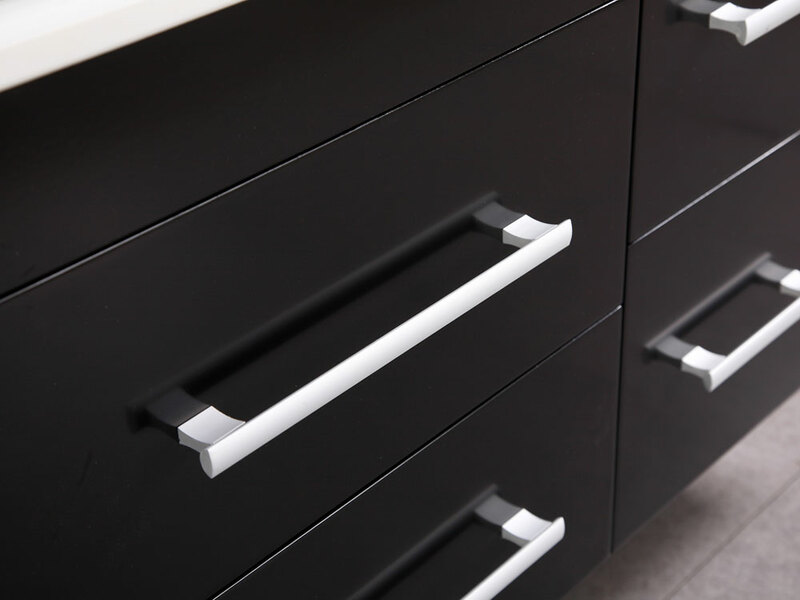 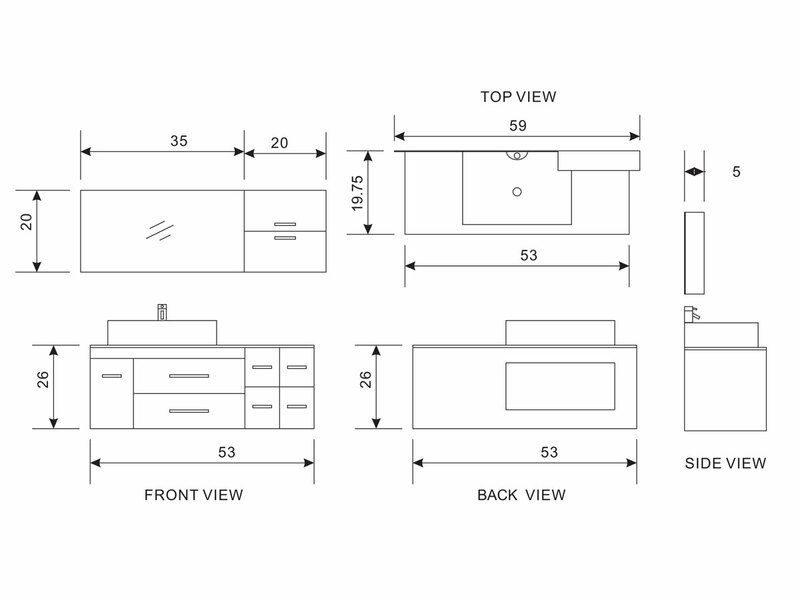 The cabinet gives you a single-door soft-closing cabinet and six functional drawers, all adorned with Satin Nickel hardware. 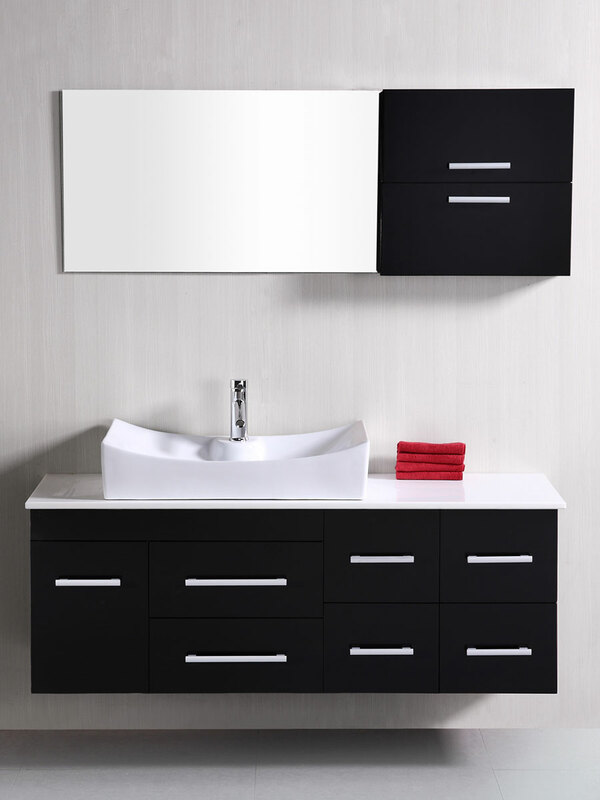 Includes hanging wall cabinet and mirror.